I built a new cow stable for 45 cows with one Lely milking robot two years ago, at the same time, I switched to organic milk production. In Norway, it is strictly forbidden to use iodine as teat disinfection, which we think is good for the milk quality to the dairy plant. Therefore, silver water disinfection is a perfect solution. I disinfect the teat brushes on the robot with 30 ppm silver water and then the robot sprays all the cows’ teats after each visit to the robot with 30 ppm silver water. In two years I have not had any acute mastitis and the SCC numbers are usually below 100. 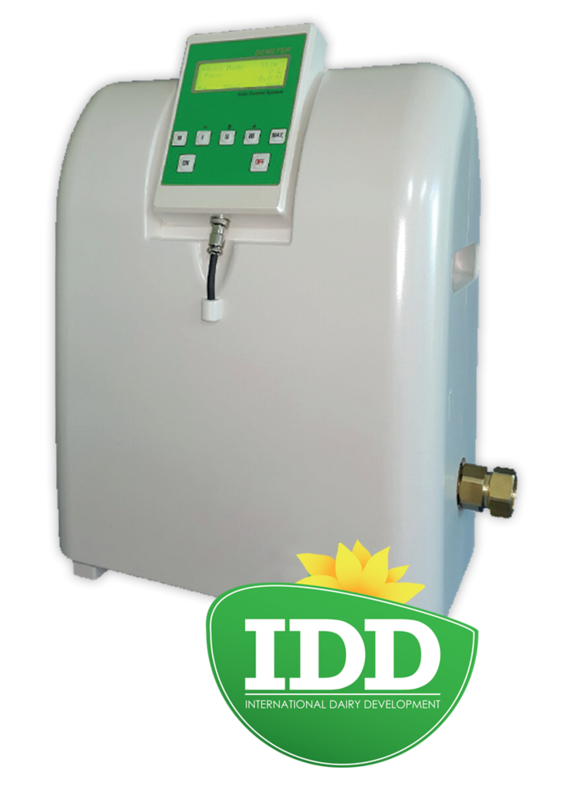 Both I and my two neighbors here who have Demeter silver water generators can consistently recommend to all our farmers colleagues around the world to invest in this great technology. It saves a lot of money, providing healthier animals that produce top quality milk all year round. It’s been ten years since IDD’s leadership came to me and told me that they started to develop and work on a brand new and unique disinfection technology. When I was meeting with the company management and their developers, where they told me about silver and silver water instead of antibiotics and traditional disinfection, I was initially a little skeptical. I had been farming for over thirty years and have antibiotics and the culture of traditional disinfection in the soul, therefore it was a little difficult to change at first. In the last five years, we mix 5ppm of silver in all drinking milk into our calves from 0-8 weeks of age. We have basically no veterinary treatments for calves and antibiotics in preventive use are not used at all in the last five years. Demeter technology with silver water saves my farm money each year. All farmers with milk production should use this fantastic technology; for us it is incomprehensible that not all dairy producers do it. I invested in the Demeter technology for IDD in Sweden four years ago. It was really a simple decision after I, together with my veterinarians and farm advisors, understood Demeter’s technique with different types of strong silver water solutions. Now I have almost no acute mastitis and extremely low SCC, almost never over 120,000 per milliliter of milk. I see Demeter technology as a guarantee for my herd’s udder health and top milk quality in all seasons around the year. It also feels good to have removed the use of iodine in our milk production.